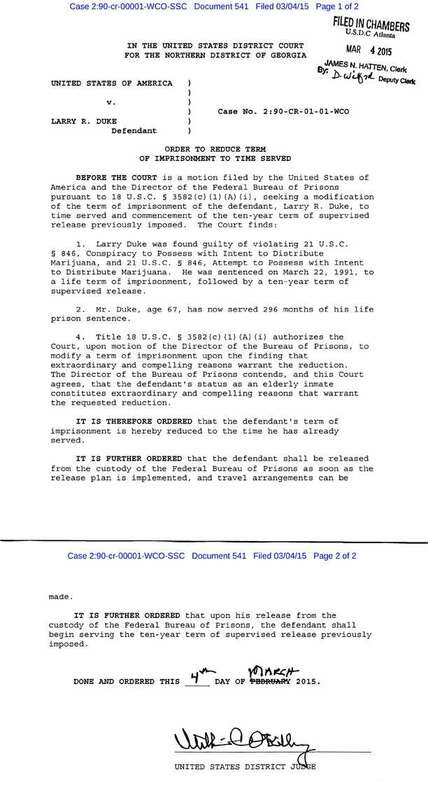 Life for Pot Prisoner Larry Duke Released! You are at:Home»News and Politics»Life for Pot Prisoner Larry Duke Released! I am so happy today! 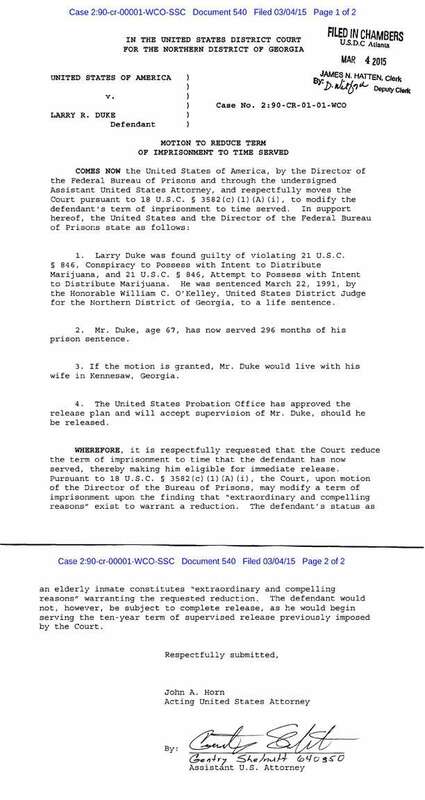 I have to share the news with my readers that life for pot prisoner Larry Duke, a decorated Vietnam war combat veteran and former marine, who was actually serving a sentence of LIFE WITHOUT PAROLE for a nonviolent marijuana offense, has been released after 26 years! I got the word this morning from Larry himself, via the prison’s Corr Links system that he had been granted “immediate release.” While I normally get an email every morning (unless the prison is on lockdown) from Larry — and evening and sometimes in between especially if I have sent him lots of news stories — it was unusual for it to be so short. But with good reason, he was on his way out of prison. I know he will get in touch when he can, but I am thrilled and have to assume he is reuniting with his loved ones. 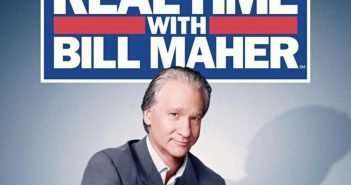 I am sure it is a lot to deal with after being incarcerated since 1989. At some point today, it dawned me that even though I have been passionately working on the cause of helping nonviolent prisoners serving life sentences for marijuana for nearly two years, I have never talked about it here. I guess I was always too busy talking about it elsewhere. To be sure this is not news to anyone who follows me on Facebook, Twitter, or Instagram. I have talked about the prisoners serving life sentences in the press every chance I get. Many of our political representatives are aware of my views. But for some reason, I never had the time to update my own blog about it. So let me start to fix that with a question the press often asks me which is how did you get involved with either the cause of people serving life for pot in general; and/or a particular prisoner who I have been advocating for. It started when I was doing research for my book Mary Jane: The Complete Marijuana Handbook for Women. That’s when I first met (well not physically met, but became acquainted with) Randy Lanier, the 1986 Indy 500 Rookie of the year, who found himself incarcerated by 1987 for a first time, nonviolent marijuana conspiracy offense. At the time Randy’s website was down and public support for him was almost nonexistent. I got involved, built him a new website and started generating a social media presence and people started getting interested in his story again. The fact that we had people rotting away in prison for marijuana simply haunted me. And still does. I can’t NOT do something about it. So along with Randy I started corresponding with other marijuana lifers. Which lead to my enlisting the help of my partner at Z-Dog Media, Mitch Mandell, to help build websites for more cannabis prisoners, which is when I started doing public relations and social media outreach for Paul Free, Craig Cesal, and Larry Duke, along with Montana legal medical marijuana provider Chris Williams. Through interacting with them every day, these men have become valued friends who I dearly love. I often say some of the finest people I know are felons and there are no better examples than the marijuana lifers I work with. These men all have strength, resiliency, and integrity that goes beyond the pale and that consistently astounds me. Why? Because for the most part, they chose to do the correct and patriotic thing to do and exercise their Constitutionally guaranteed right to a trial. But against the spirit of the Constitution, they all got severely punished for it. In many cases, like Paul Free, Craig Cesal and John Knock, they got railroaded by a hopelessly broken and corrupt “justice” system. Any of them could have been out in a just a few years or less had they agreed to testify against others…even when they didn’t know the people they were being asked to incriminate. Their ability to keep a positive attitude and never give up the fight, even after decades of incarceration, inspires me each and every day. Having gone through the ups and downs of the trials and struggles for justice — for even a slight chance at justice– that Larry Duke, Randy Lanier, Paul Free, and Craig Cesal have gone through over the last few years — shows me the importance of never, ever giving up hope. And why their families,friends, and supporters should never give up hope either. And why it is always worth fighting for justice. I feel fortunate to know these brave men serving life sentences for a benevolent plant that many states have legalized for medicinal and/or recreational purposes. Knowing them enhances my life each and every day and shows me that people with integrity actually do exist. I am just sorry it is such dire circumstances that brought them into my life. I also feel blessed to to know some of the amazing warriors I have met who are fighting for the freedom of these and other prisoners. Beth Curtis of Life for Pot, Nora Callahan of The November Coalition, and my co-leader at the CAN-DO Foundation, Amy Povah also inspire me every day and show me how much change dedicated people can actually make if they never give up. Today, the cannabis world has reason to celebrate. 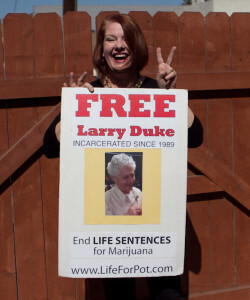 Let’s hope Larry Duke is just the first of the rest of our cannabis POWs serving LIFE SENTENCES for nonviolent marijuana offenses to be released. We MUST keep up the pressure on our elected officials to make sure this happens. NOBODY SHOULD BE SERVING LIFE FOR POT!